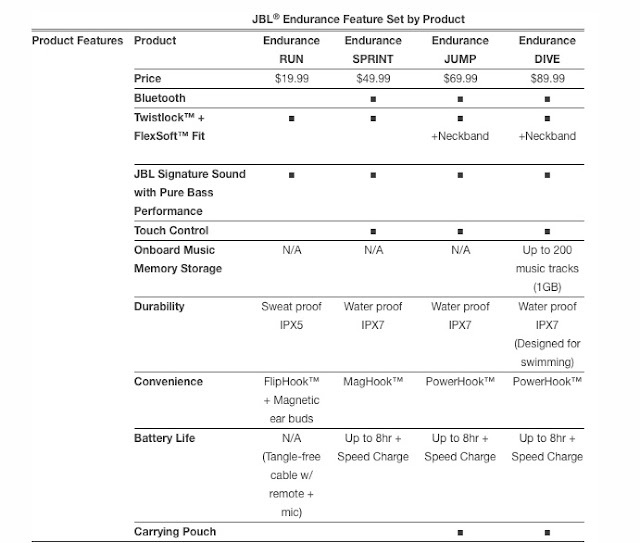 JBL has released the Endurance line a collection of run, fitness and even swim ready earphones. Aggressively priced with excellent sound they range from the Endurance Run ($20) a very light and comfortable wired earphone to the IPX7 waterproof Endurance Dive ($90) which not only has up to 8 hours of playback time with a 10 minute quick charge for an hour's play but includes a built in 1GB music player which can hold up to 200 songs. 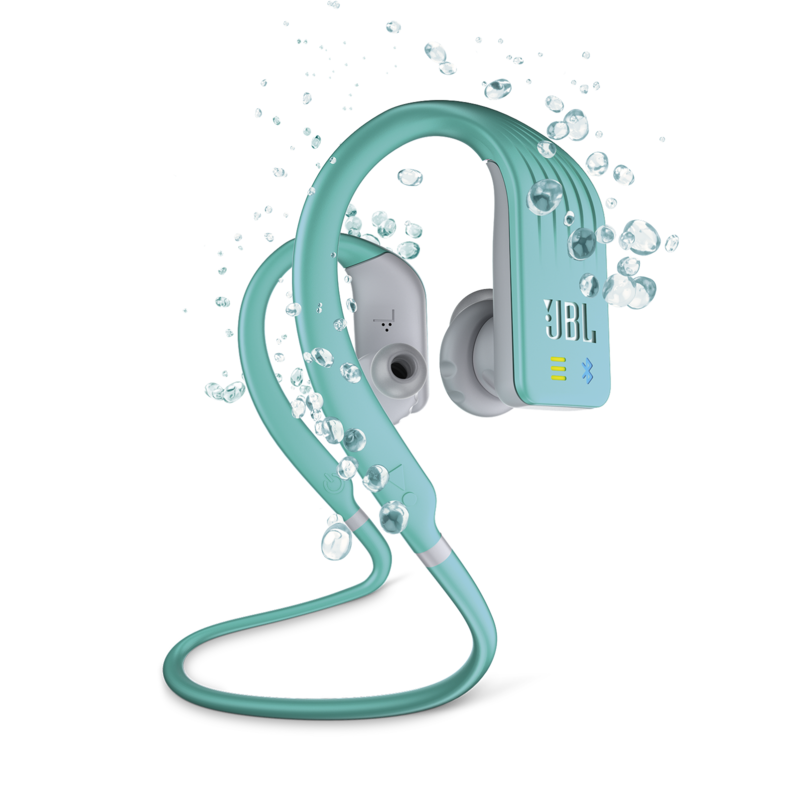 The Dive are earphones you can literally swim or paddle board with, no phone necessary! 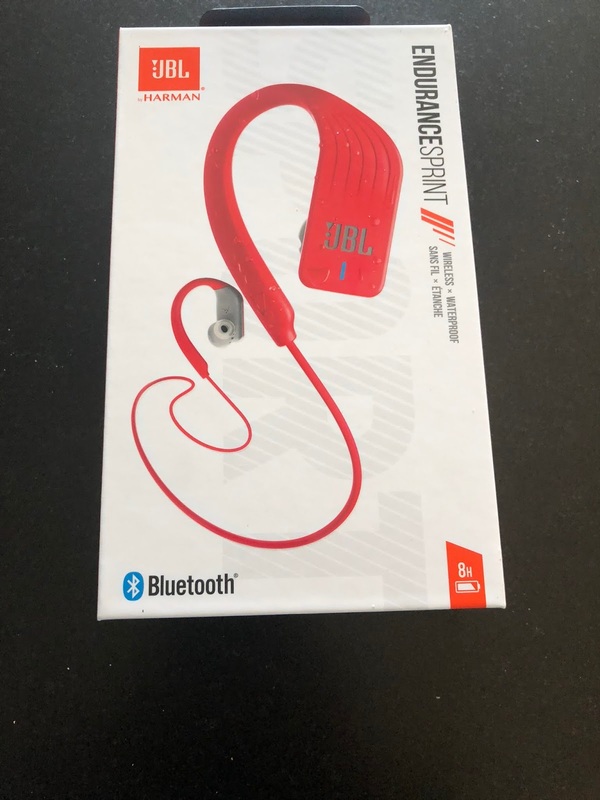 JBL sent us the Endurance Sprint ($50) IPX 7 waterproof with 8 hours of battery life but with no music player, the Endurance Run, and the Contour Reflect 2 ($90), a sweat proof light over the ear style with a 10 hour battery life. 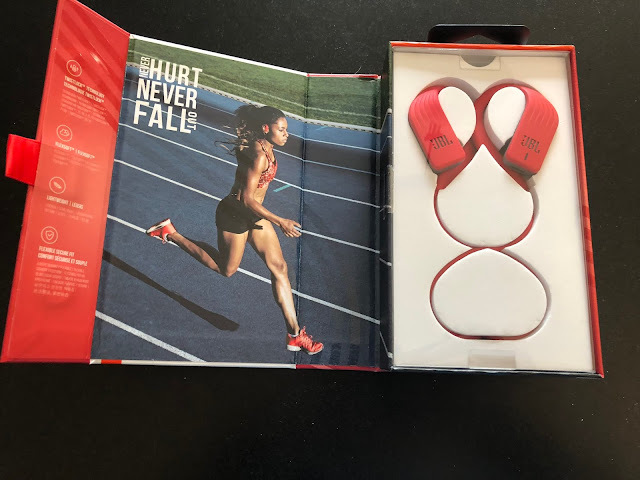 In between the Sprint and the Dive is the Endurance Jump ($70), a collar style (shared with the Dive) more rigid neck band earphone with identical battery and waterproofing specs to the Sprint and Dive. The Jump powers on and off automatically with PowerHook tech when the earphones are put on the head and taken off. 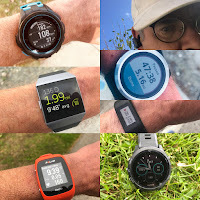 The Sprint, Jump, and Dive all have touch no button controls on the right unit and share that 8 hour battery life and swim ready IPX 7 water resistance (30 minutes submerged up to 1 meter). While of slightly different designs the Reflect Contour and Sprint we tested have one thing in common, comfortable secure fit with, in just about a first for us, no fiddling with any of the included tips or gels required. Key to this out of the box comfort are the soft very pliable over the ear hooks and soft coatings on all the bud surfaces in contact with and in the ears. JBL calls this technology FlexSoft. We tested the Endurance Sprint, a wireless earphone which connects via Bluetooth to a music player or phone. It is IPX 7 waterproof ( 30 minutes in up to 1 meter of water) with an 8 hour battery life and with a 10 minute quick charge for an hour of play. 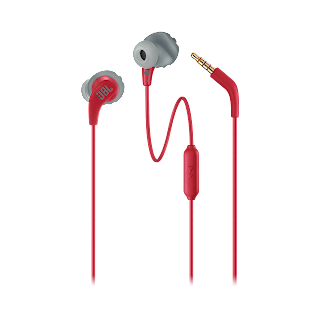 The soft ear hook is lightly magnetic and is drawn towards the main body of the earphones so can be clipped to gym bags, purses or packs. JBL calls this tech MagHook. To put the earphones on insert the buds and give them a slight twist up in a clockwise direction. JBL calls this tech TwistLock. 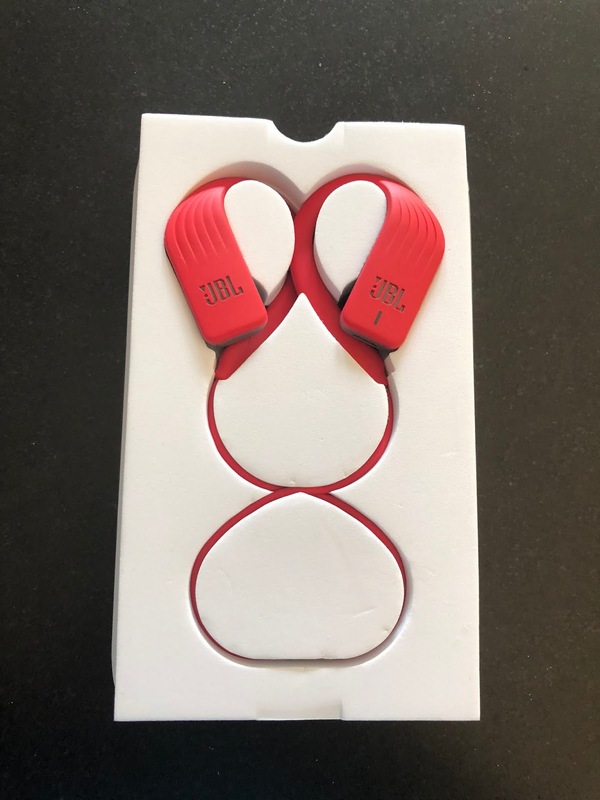 Quite frankly we found the TwistLock almost unnecessary as even without it the fit was secure and comfortable among the best of any earphones we have ever tested with no pressure in the ear and a locked in secure fit. The controls are by touch on the right bud. There is no tactile feedback we assume as everything is waterproof sealed. You tap sequences at the center bottom by the JBL logo to activate them. Controls include all the standard music controls including pause, resume, track forward and back, although we found the track change difficult to master on the go. Phone controls include answer, hang up, decline a call. We did not find a voice control (Siri, Google) activation but did on the Reflect and Run. Volume is controlled by swiping at the right side of the L in an up down motion. We found this gesture very difficult as any additional pressure in the area of the JBL logo can easily be interpreted as a tap thus pausing the music. We ended up adjusting volume from our phone. Sound quality was very good but a bit thin on bass. We had a sense that the outer wings effectively blocked out outside wind and sounds, a great thing for the sound clarity here, but on the run outdoors we would prefer to have some additional situational awareness as essentially all outside sound was blocked. In the gym the sound blocking would be great. The buds magnetically attach to each other helping to keep the cords untangled and secure them to a bag or around your neck when not using. Controls include a single press to pause or start music or answer a call. A long press activates your phone's voice control. There is no volume control on the single button remote. The Run has a standard headphone jack so if you have an iPhone or other phone without a headphone jack you will need an (easy to lose) adapter. They are sweat resistant but not waterproof as the others in the Endurance series are. The priciest model tested, but still very reasonable for its features and battery life, the wireless Bluetooth Reflect was our favorite. It is sweat proof with an IPX 5 rating and built of lightweight aluminum. It has the longest battery life at 10 hours with a 15 minute speed charge for an hour of play. It is noticeably light at a mere 19 g. It was the most comfortable to wear. It combines a very soft, light over the ear hook with three sizes of Freebit enhancers which are in ear wings along with three sizes of silicone ear tips. JBL calls this approach DualLock. We found the fit out of the box the most secure and most comfortable as not only is the earphone supported over the ear but gently within the ear by the Freebit enhancers. The 3 button remote was easy to operate with big tactile buttons and includes access to phone voice control. The ear hooks are soft and thin. I was able to comfortably wear them with eyeglasses and even sunglasses over the eye glasses! The cables are reflective. The Reflect Contour features JBL Signature Sound. as do all the earphones here ,which was rich if a bit thin on bass for our tastes. The lightest in weight of the three we tested at only 19 grams, extremely easy to fit, comfortable to wear, and with an outstanding battery rating, the Reflect Contour 2 is a great workout companion. JBL acquired Yurbuds for all the Twistlock tech, correct? Those have been my go to earbuds for a few years now and I love them. They only seem to fall out if it's a super sweaty day or in downpours. 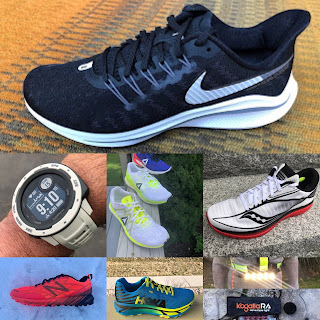 I might have to give one of these new pairs a shot soon. Thanks for reading and thanks for commenting. The combination of TwistLock and the soft over the ears hooks really is effective and comfortable. I don't know the history of TwistLock but it is good stuff. Connectivity and control problems with my JBLs resulted in a warranty return.. waiting for new pair to see if JBL as a working product.